Business Financial Statements are written records of a business financial situation. 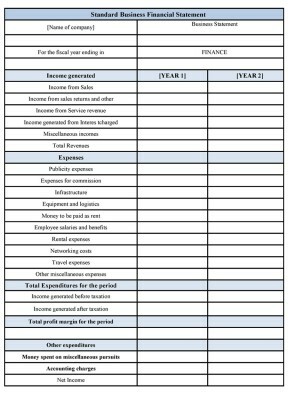 These financial statements are a useful tool in analyzing your company’s financial position and performance. Business Financial statements are issued for investors, tax authorities or other significant partners who require financial information. They are usually prepared on an annual basis, although in some cases they are produced quarterly. Standard Business Financial statements are usually based on Generally Accepted Accounting Principles which has specific requirements that must be followed. The standard business financial statement presents a summary of the revenues, gains, expenses, losses and net income or net loss of an entity for a specific period. 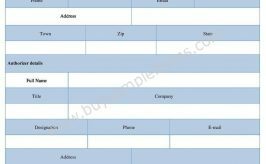 The financial statement form has a heading, which gives the name of the entity, the name of the statement, and the date or time covered by the statement. The information provided in the financial statements is primarily financial in nature and expressed in units of money. The standard business financial statement form must be prepared in accordance with Generally Accepted Accounting Principles and must include an explanation of the company’s accounting procedures and policies. Standard accounting principles call for the recording of assets and liabilities at cost, the recognition of revenue when it is realized and when a transaction has taken place and the recognition of expenses according to the matching principle (cost to revenue). 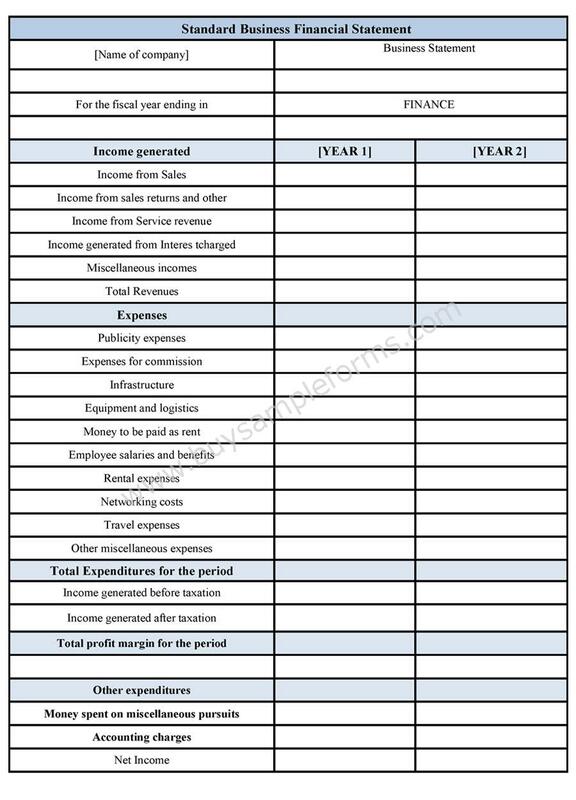 Use the printable Standard Business Financial Statement template available online. Download it either in MS Word or PDF format. Both MS Word and PDF format can be edited and customized as per your needs.